Trip Advisor's Traveller's Choice and Time magazine have chosen the five Brazilian destinations to visit in 2017. Trip Advisor's Traveller's Choice and Time magazine have chosen the five Brazilian destinations to visit in 2017. 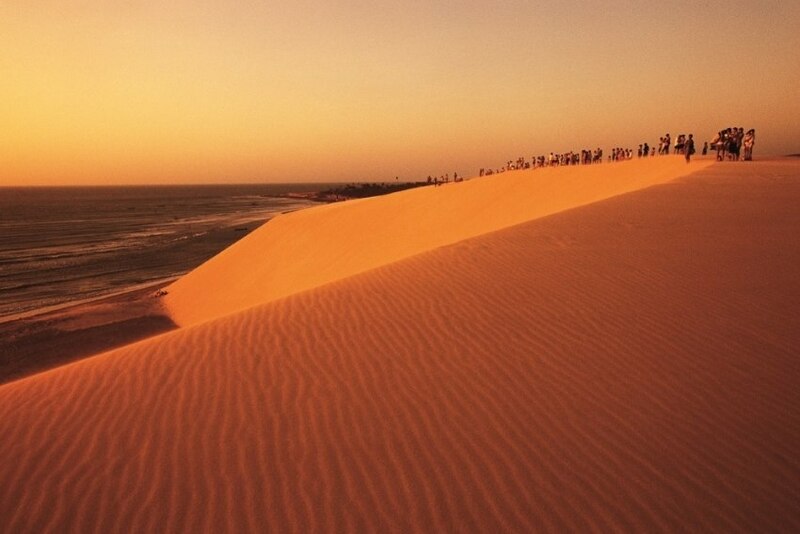 For the former, Jericoacoara is even the first choice, while Time prefers Angra dos Reis. It is located 300 kilometres from Fortaleza, the capital of Ceará. The main tourist attractions are linked to nature, and include the possibility of practicing extreme sports on the beaches and lagoons of the region, as well as visiting places such as Pedra Furada. Canoe tours through the Guriú river mangroves are another popular activity, also allowing seahorses observation. It is a destination of excellence for ecotourism lovers. One of the most sought after attractions is the Grotto of the Blue Lake, located in an area of environmental preservation. Among the attractions are also the natural landscapes, rivers of transparent waters where you can dive, waterfalls, grottos and caves. Bonito is part of the tourist complex of Serra da Bodoquena National Park. About 150 kilometres from the city of Rio de Janeiro and 13 kilometres from Cabo Frio, Arraial do Cabo is known for its pristine beaches, white sand dunes and lagoons. Boating is the most sought after activity by visitors. Peró, Conchas, Forte and Brava are the most popular beaches in this destination, which has a famous beachwear manufacturing centre, with respective stores gathered in Rua do Biquini. Bairro da Passagem, once inhabited by members of the Portuguese royal family during the colonial period, now features a combination of historical antiquity and urban bohemia, with bars with live music among historical monuments. The destination has about 365 islands, packed with paradisiac beaches that can be traveled in boats, schooners or taxi-boats. From Angra also depart boats to Ilha Grande - the largest island in the bay, where cars are not allowed to circulate. Among the must-see beaches are Lopes Mendes, Saco do Céu and Cachadaço.